Planning your next school visit? Here’s the ones happening that you need to know about. 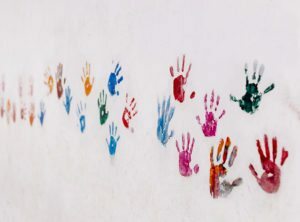 Plus, look forward to our next instalment of our HoneyKids Playgroup series: this one features plenty of messy play, free family fun and of course, goody bags. RSVP, stat, to save your spot! Big round of applause to AIS’ Class of 2018 for scoring top marks in the IB and HSC. Year 12 students achieved a median Australian Tertiary Admission Rank (ATAR) of 83.1. Its IB cohort achieved a 100% pass rate for the third year running (the world average is 78.4%) with an IB average of 35.28 out of 45. AIS is also listed nine times on the HSC Distinguished Achievers list (students who achieved a result in the highest band possible). Well done, students! 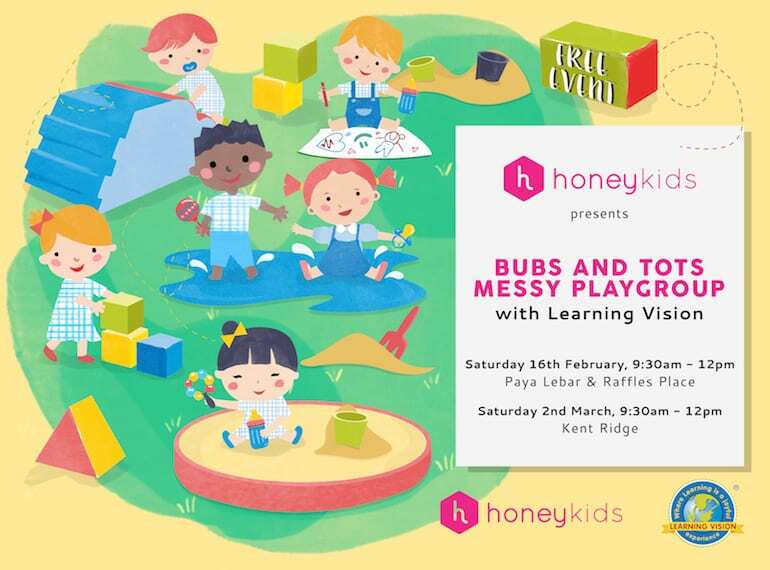 Inviting all bubs & tots aged 0-30mths for some messy play with HoneyKids and Learning Vision! We’ve got two more sessions of our awesome HoneyKids Playgroup with Learning Vision for you to hang out at with your small people on a Saturday morning. Join us on February 16 or March 2 for free morning tea, singalongs, storytelling, messy play, a free goody bag, plus the chance to make new friends with your zero to 30 month old bubs and tots. 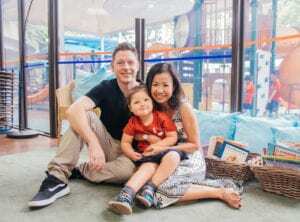 You’ll find us having a heap of fun with messy play (that we don’t have to clean up: woo hoo) at Raffles Place and Paya Lebar on 16 February, and Kent Ridge on 2 March. Read on for all the deets, pick a location that suits you and RSVP asap (spots are limited)! Prospective Grade 7, 8, 9 and 10 parents and students with their eye on SJI International should head to its Open House and Pedagogical Morning for two taster sessions. Hear from Mr Bradley Roberts, the High School Principal and have all your burning questions answered. Sign ups will be open from 9 February. 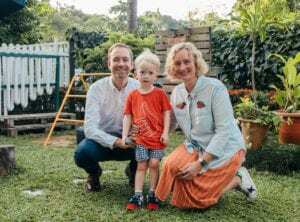 Open to prospective parents and students up to Sixth Form, get a glimpse into the life of a Tanglin student, find out more about its impressive programmes and outdoor education at the open morning. Hear from the CEO, Heads of School, Student and Faculty Leadership. Get to meet and interact with members of the Tanglin community and specialist departments one-on-one and be taken through student-led tours of the facilities. 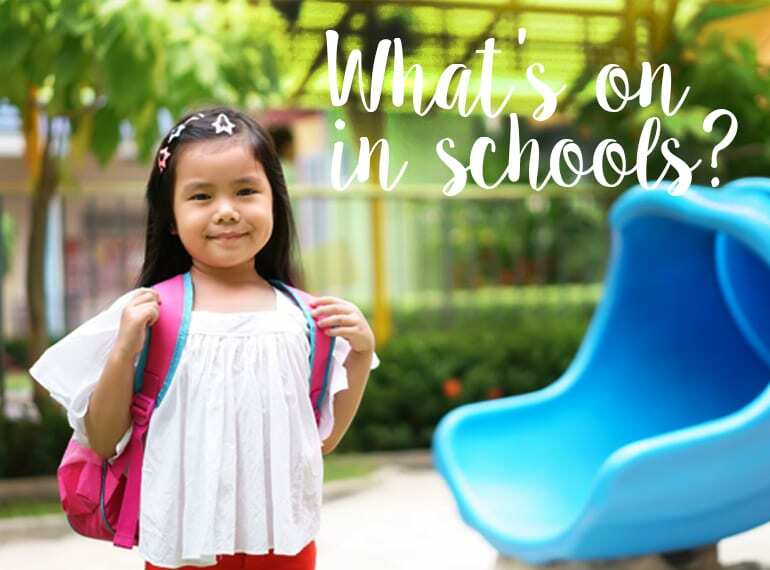 Discover the benefits of a Tanglin education from Infant School right through to Senior School and Sixth Form. 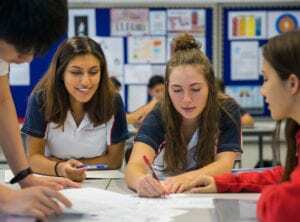 Tanglin Trust School allows students at Sixth Form to choose between A Levels or IB Diploma, allowing students to flourish, find their passions and embrace opportunities. Prospective parents, and students aged 14 to 17 years of age can meet with the Head of Sixth Form, Guidance Counsellors and existing Sixth Form students at the open evening. Attend the open house to learn more about this IB World School and its integrated bilingual programme. Housed in a two storey building in lush surroundings, find out about its unique environment and extensive facilities. RSVP for the Open House and get 50% off registration fees (save $1150)! If you’re looking for a unique outdoor education programme set in nature, check out EtonHouse International School @Sentosa. Offering playgroup to primary options, it’s housed in a heritage building with spaces designed with its young learners in mind. RSVP for the Open House and save 50% off registration fees. Experience for yourself why EtonHouse Pre-School’s distinguished curriculum, strong bilingual programme and innovative facilities. What makes Level 5 a favourite during playtime among students and parents in 215 EtonHouse? Visit to find out! Sign up through the link and get a waiver of registration fees ($535). Drop by to experience a day in the life of a Winstedt student. Parents will get the chance to tour the campus, meet with the Heads of School, participate in a typical lesson and have an opportunity to speak with teachers and current parents. Get an inside look into GESS’ brand new campus and its school community at its next open house. Hear directly from the academic experts about its IB Curriculum and German Curriculum offerings, tour the facilities and enjoy private consultations with the Admissions Team to find the right programme for your child. Take the kiddos along to the Open House and let them take part in a fun and interactive experiential play and learning session led by GESS! For kiddos ready for school, take a personalised group tour with the AIS leaders around the campus and get insight into how AIS’ values define its unique approach to learning. Talk to the Head of School, learn about its core values, curriculum, extra-curricular activities, and experience the state-of-the-art facilities. 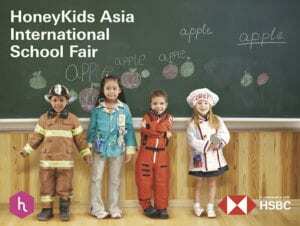 Learn about what GEMS (Singapore) can offer your child at the next GEMS Open-House. GIIS is holding open houses and campus tours throughout January for you to get a look into what makes it a SMART campus. Plus, enroll before 31 March and you’ll get $1500 off the registration fee for Grades 1 to 12.